A few of you have been interested in the Kaleidoscope Quilt I had pictured in my last post. The 45 Degree Kaleidoscope Wedge Ruler can be hard to find but I've included a few links here and here so that you can RUN and buy one on line. 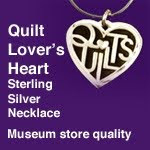 You might also check with your local quilt shops as they might carry them or maybe they can order one for you. The copyright date printed on the ruler is 1988. So it's been around for a while. I was able to get a few pictures online to show you what the ruler looks like. The pattern for the quilt is on the back of the package. What I did to tweak the pattern is a bit complicated to explain but I've included the class handouts I made a few years back. Hopefully, that will help you. I've also include pictures of some of the blocks I've made to give you some inspiration and help with fabric placement. It's a really fun pattern to make and looks way complicated. 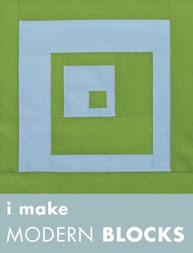 It's not a beginner pattern but if you've had some experience quilting, you'll do just fine. Here's a look at the pattern on the back of the package. Here's the Class Handout I gave to my students. Just click on image to enlarge. Here's a quick reference to minimize any confusion. First you'll want to pick some fabric. Cut the strips and sew them into strip sets of four strips per row from Very Dark to Light. Then you'll want to cut the Kaleidoscope Wedges. The instructions are on the back of the ruler and it'll give you more details on how to do this. I'm sorry but, I don't like to infringe on copyright or I'd just give it to you. Thanks for your understanding. Then you'll separate your wedges into four piles. Refer to the Kaleidoscope Quick Reference Sheet above. 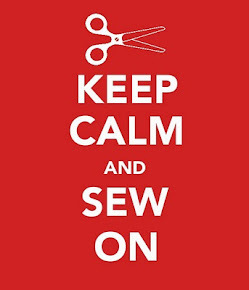 Take your wedges and sew then into pairs. Sew the pairs into fours then sew the halves together like above. Then you'll divide the blocks into two piles. Sew the four light corners to the four dark corner wedges. And the four dark corners to the four light corner wedges. This is a picture of the back of the block. Notice how all of the seams are spinning. This will give you a flatter center with the 8 seams converging in the middle. Very important. Again, the pattern gives you more details on pressing. These are the leftover blocks from my quilt that's on my bed. I even made matching pillowcases. I made this quilt four years ago but never finished it. I guess I should put that on my list of things to do this year. 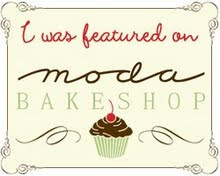 I love these Moda fabrics. Here's a close-up of the quilt. This is a smaller version of the quilt I made that you'll see in the class handout. This is my Halloween Spiderweb Quilt made using the Aunt Gracie prints from a few years back by Judie Rothermel for Marcus Brothers. It was part of her "Through the Year" Collection. Here's the Christmas Kaleidoscope quilt. Picture of the back of the Christmas Kaleidoscope. This is a fun way to use leftover blocks. I made it so when you turn down your bed you'll see this cute block. This is one of my favorite quilts that I've made over the years and each color combination is unique and beautiful. 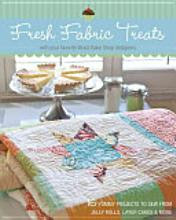 Have fun with this tutorial and remember I would sure LOVE to see pictures of your quilts if anyone decides to make it. Thank you! Thank you! Thank You!!!! 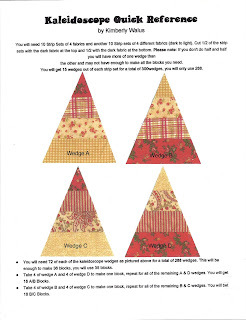 I have been gathering Christmas fabric already and I can hardly wait to make this quilt! Thanks for taking the time to do a tutorial. The instructions and pictures are clear and easy to follow. You're the best! Thank you so much for sharing this. I'll be looking for the ruler at the LQS. Kim, I love your blog. I have learned much from you and your quilts--stunning. 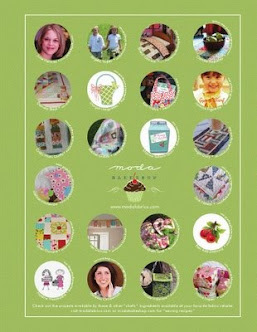 Thanks for sharing and I think it's time I made a Kaleidoscope quilt this year coming!! Thanks for the tutorial! Your quilts are beautiful. I love them all. Happy New Year. Thank you for your wonderful tutorial! I really want to try this method. Your quilts are gorgeous! Thanks Kim! Can't wait to make this quilt! I just bought the ruler off e-bay! Fabulous. I was just looking at a kalidescope quilt. This is really a good tutorial, thanks. I've seen paper pieced versions with more randomness to them but I like this so much more. This is a marvelous tutorial! What a neat quilt to make, so many ideas! Thanks Kim! I love your beautiful quilts! Thanks for the tutorial. I hope to make one soon. Love you tons. Kim, your tutorial is wonderful. I know I have blogged with you before. I went and purchased this ruler but only used it a little bit. Now I am motivated to give it another try! I found your blog through Quilting Bloggers and have spent most of last night and today reading all the way back to the beginning of your blog. You have made such beautiful things, I am inspired to get back to quilting again after being in a major slump lately. Thanks for sharing your tutorials, patterns, and recipes. Your blog is fabulous! PS I SWEAR I know you from somewhere! I felt it the instant I saw your picture in the sidebar, and it has be reafirmed through every picture I have seen since. Have you worked at a quilt store? I just can't shake the feeling that I know you, not personally, just in passing. I have just found your blog and love it. I also love this tutorial and would like to thank you for sharing it. I certainly will be giving it a go. now to see if I can find that ruler here in Australia....cheers for now! These quilts are SO beautiful! Thanks for the tutorial....I have picked out some fabric to make a Valentine quilt. This might just be the pattern I will use! I'm in awe of your Christmas quilt. Thank you for the tutorial, now I try to make my own. Love the quilt. I bought Christmas fabric at Walmart for 63 cents a yard yesterday. I got enough to make several quilts. I ordered the ruler today. Can't wait to get started. Hi, Kim! Your blog came up as one of my Google Reader recommendations, and I'm so glad! All your projects are super-cute! As for this one, it's so stinkin' awesome! 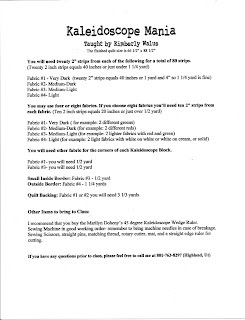 Thanks for sharing the basic instructions - I'll be sure to tuck them away in my "TotallyHaveToMake" pattern file! Hope you're enjoying your weekend. Thank you so much for this! You do such nice work! Wow!! What a beautiful square! I have not seen these before! I've got to try this...it is now on my 'roundtuit list! Thanks for doing the tutorial! I'm sitting here looking at these wonderful tutorials! It makes me want to jump up and get started on another project. Also..the Dresden plate tutorial is wonderful. I just found your blog. I am enjoying reading it. This tutorial on the kaleidoscope using Marilyn Doheny's ruler is very timely for me. I was just thinking that I need to get the ruler out and use it again. I saved the original instructions. Thank you for giving me a reason to use it again. My sisters and I are wanting to make the kaleidoscope quilt. On your Halloween quilt, how many yards did you need per color and how big is that quilt. Please email me at suebeesley@yahoo.com. Thanks! Mrs. Santa's Workshop & More! 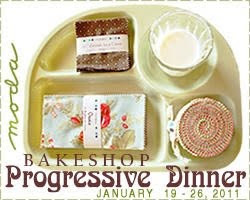 Holiday Treat Just for You!